Few places offer a more extraordinary opportunity to enhance your nature, wildlife and macro photography skills than the habitats of Costa Rica’s Atlantic coast and its mid-elevation and cloud rainforests. These tropical environments are both spectacular and subtle, offering intimate close-up views of many species of marine life and the birds, reptiles and mammals that live along the rivers and streams and stalk the dense jungles. Tortuguero is much more than where turtles are born. A labyrinth of rivers, canals and streams connects its marshes, swamps and lagoons, creating the watery paths that are the best to follow into the rainforest. As you glide through these waterways, linger often to compose images of more than 375 species of birds, including the great green macaw, three species of toucans, forest-floor-dwelling fowl and the long-legged predators that hunt among the shallow pools: the crested guan, northern jacana and boat-billed herons. Be patient and look carefully and you may be able to photograph the tapirs and gentle manatees in the water; and your perseverance may also result in images of the ever-elusive jaguar. Once you've filled a memory card or two with the sublime natural wonders of Costa Rican lowlands, it’s time to travel west into the heart of the country to the Arenal Volcano National Park. 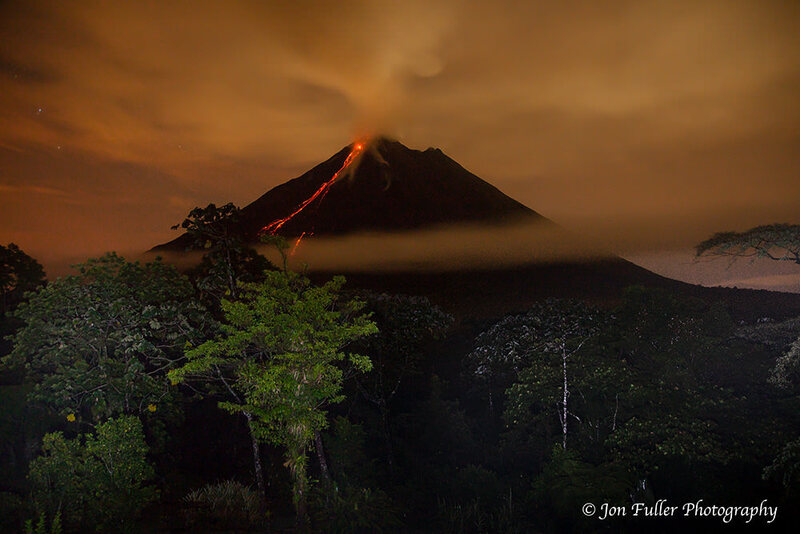 Although now it stands mute, Arenal Volcano was spewing lava, ash and smoke as recently as 2010, but it could become active again, as the geological activities deep below the earth see fit. The almost perfect cone rises to an altitude of 5,437 feet and is the central feature of the 29,960-acre national park. What makes Arenal a paradise for photographers is that it consists of four different ecosystems, each with its own collection of flora and fauna. More than 600 species of birds inhabit these zones, including the great green and scarlet macaws and many hummingbirds, such as the Green Hermit, Black-bellied, Green Thorntail, Coppery-headed Emerald and White-bellied Mountain Gem. The birds perch and flit among a dense canopy of trees, bushes and flowers – laurel, palms, orchids, heliconias, ferns and bromeliads. 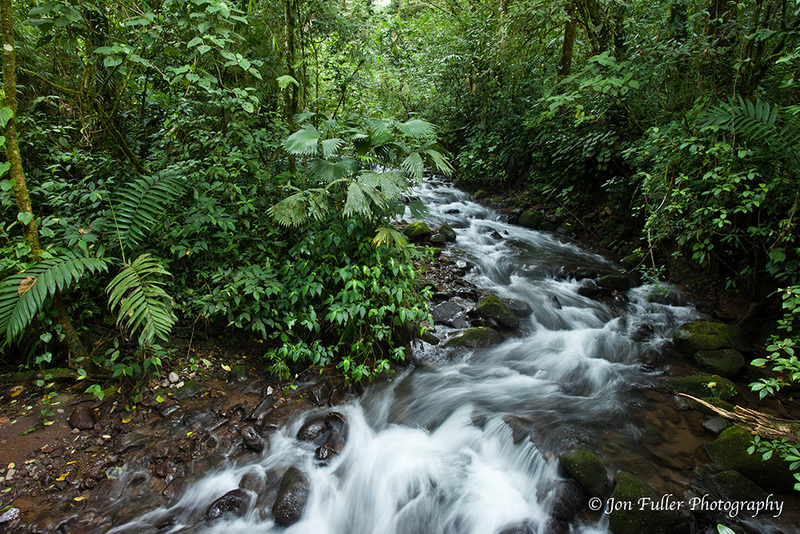 The eco-systems of Arenal are also home to sloths, white-faced capuchin monkeys, coati, deer and snakes, including the famed boa constrictor. To photograph all this natural beauty requires a guiding hand, someone with special local knowledge to ensure that you have the greatest opportunity to take home amazing images. 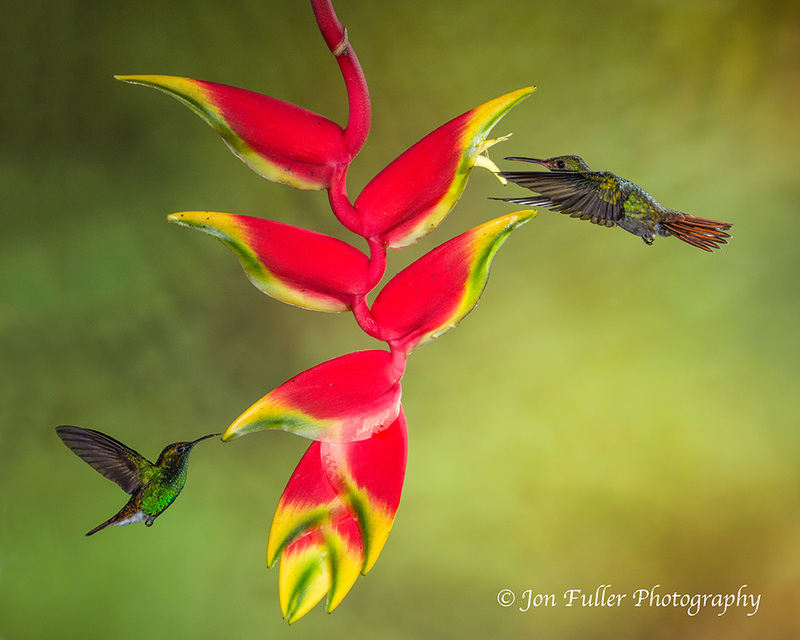 That is why you will want to be one of just 8 photographers to join Jon Fuller and Greg Basco on Moab Tour’s Costa Rica Photo Tour, June 8–19, 2015. For more than 30 years, Jon has photographed the grand places of the world and his work has been published in National Geographic. He is also known as an outstanding stock photographer, providing images to agencies in London, Tokyo and New York. Greg has an outstanding reputation as one of the most accomplished photographers of Costa Rica’s natural wonders. Together, they will not only take you to places few tourists ever see, but also provide you with comprehensive instruction in multi-flash hummingbird photography, daylight tele-flash photography, natural-looking daylight fill flash, macro photography and landscape HDR. Although your trek into these Costa Rican habitats will afford many opportunities to photograph a host of species in the wild, Greg will lead you to the property of a private landowner where macaws congregate just for your camera. 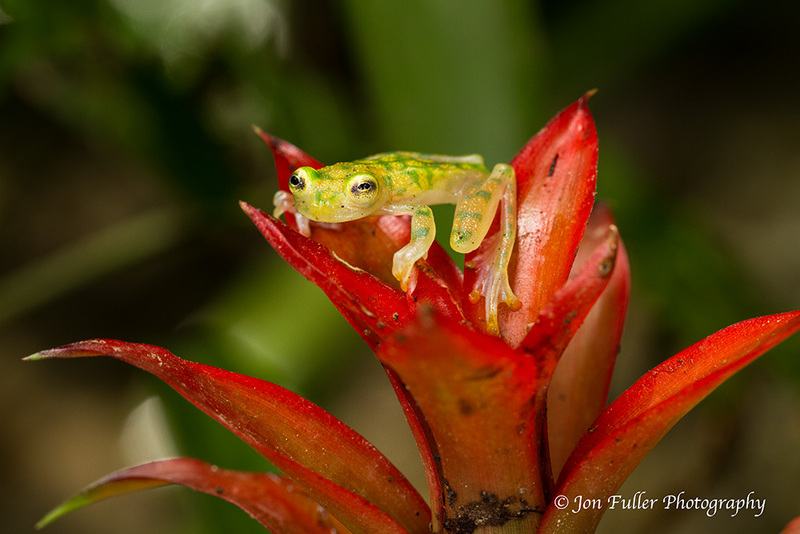 Another friend of Greg’s will invite the group to photograph a truly incredible array of frogs, snakes and lizards that you could spend a lifetime in search of them in the forest. You’ll be able to apply many of the wildlife, lighting and macro techniques you’ll learn throughout the tour. This is a trip, an adventure, that you must make and you can find all the details on the Moab Tours Website: http://www.moabphototours.com/pages/workshops/--costa-rica.php. Moab Photo Tours also provides year-round private custom photography tours of the Moab, Utah area, including Arches and Canyonlands National Parks”.